Dry Rub Seasonings: Combine salt, cummin, black pepper and cayenne pepper and mix well. 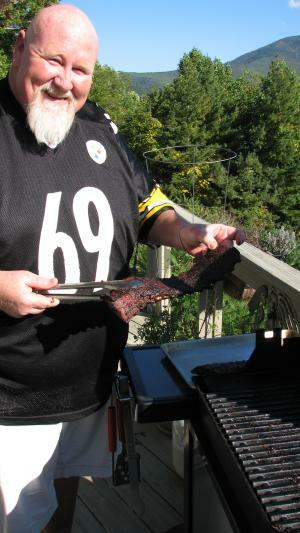 Rub over entire surface of the spareribs. Creole Mustard: Combine horseradish, yellow mustard and white wine. This will keep refrig- erated for several months. Mustard Sauce: Combine minced garlic, brown sugar, and Creole Mustard in a bowl and mix well. Grill ribs bone side down, glazing with mustard sauce as it cooks. Turn several times to avoid buring, adding sauce to the upper side.